Come together to support and encourage each other in living Christian life to the fullest. Hear from men of influence and all walks of life as they share their stories and insights. 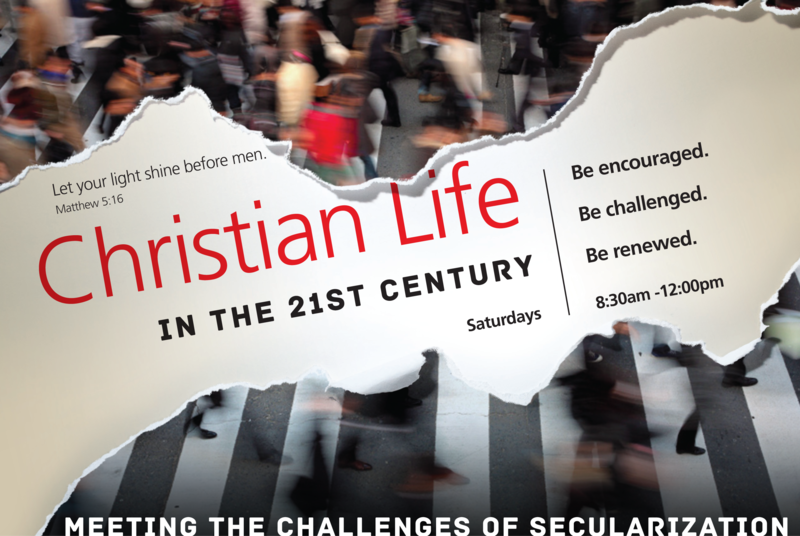 Learn more about living a life of faith, integrity and influence in our modern society. Each morning's focus will be grass roots and real life. Click here to download Saturday Morning Gathering flyer. Sponsored by People of Praise, these Saturday Morning Gatherings for men are part of an ongoing effort to impact our culture, communities, colleges, companies and churches with the vibrant life of Christ. People of Praise is a Christian, ecumenical and charismatic community of believers active in their churches and sharing their lives together. With almost 3,000 members they are in more than 20 locations throughout North America. Learn more at peopleofpraise.org. People of Praise efforts have created Trinity Schools (trinityschools.org) and Christians in Commerce (christiansincommerce.org) as well as ongoing missionary efforts in impoverished inner cities and on college campuses.